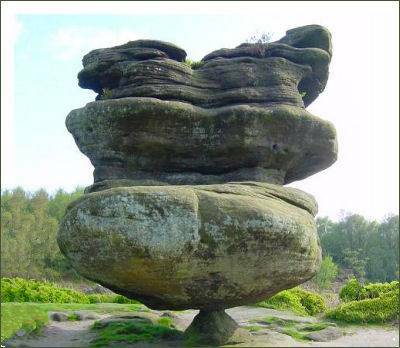 Brimham Rocks are amazing balancing rock formations on Brimham Moor. The rocks are situated at Summerbridge, in an area owned by the National Trust which is part of the Nidderdale Area of Outstanding Natural Beauty. 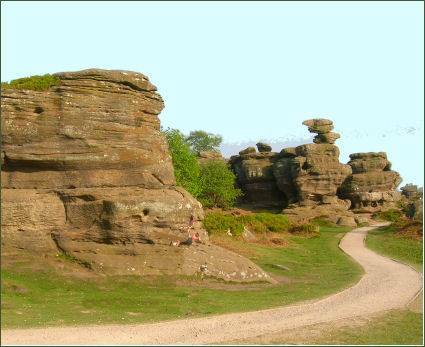 The rocks stand at a height of nearly 30 metres, there are many variations of rock formations, caused by the erosion of Millstone Grit by water, glaciation and wind, some of which have formed weird and fantastical shapes. Many of the formations have names, including the Sphinx, the Watchdog, the Camel, the Turtle and the Dancing Bear. The site is open all year round. Entry is free but car parking is chargeable for non members of the National Trust.